One of the most unique aspects of CAURS, and one that we pride ourselves on, is that the Symposium is planned and run almost entirely by undergraduates. The CAURS Inter-School Board (ISB) is comprised of dedicated students from six CAURS member institutions who work year-round to organize and arrange the Symposium, one of the largest undergraduate research conferences in the nation. We encourage you to reach out to the ISB representatives from your school if you have any questions or comments. Fidak is a senior at Northwestern University, where she is pursuing majors in History and Biological Sciences. She serves as the Director of the 2019 Chicago Area Undergraduate Research Symposium. Fidak has conducted research in a developmental biology lab and is currently working on her history honors thesis about the Philippine-American War. After graduating, Fidak plans to attend medical school. In her free time, she enjoys reading books and watching her favorite tennis player come this close to winning. Kelsey is a senior Biochemistry major/environmental science minor at Loyola University Chicago. She is looking to pursue a graduate degree in areas related to environmental chemistry and toxicology. Her current research interest include ecotoxicology effects of binary metal mixtures on aquatic organisms. In her free time, Kelsey enjoys being a member of the Phi Sigma Sigma Sorority and attending concerts. Megan is in her senior year at Loyola University Chicago pursuing a degree in Psychology. She works as a research assistant in Loyola’s Behavioral Research on Acceptance and Diversity (BROAD) Lab and is currently working on a project focused on threat perceptions and policy attitudes towards transgender groups. Outside of academics, Megan enjoys volunteering her time as an intern at Make-A-Wish Illinois, exploring Chicago neighborhoods and everything about musical theatre. She is excited and honored to work with students across the city to plan this year’s symposium! Jennifer is a fourth-year student at the University of Chicago majoring in History and Visual Arts. As a Mellon Mays Undergraduate Fellow, she is currently working on a senior thesis about early 20th-century Chinese American food culture and restaurant labor in Chicago. This summer, she conducted archaeological fieldwork as a research assistant in Vera Cruz, Mexico. At UChicago, she is on the board of PanAsia Solidarity Coalition, and she works as a docent at the Smart Museum of Art, giving tours to students and facilitating free arts programming. After graduation, she plans to take a gap year before pursuing a doctorate in historical anthropology. Fatima is a fourth-year at the University of Chicago, where she is majoring in Biological Sciences and minoring in Near Eastern Languages and Civilizations. As a Teaching Assistant for Genetics Lab, she loves making the lab experience for underclassmen all the more enjoyable. She is also currently is a member of an Immunology lab, where she studies the development of Natural Killer cells. On the weekends, you can find Fatima exploring Chicago's delicious dessert scene or reading a Fredrik Backman novel. Christian is a fifth-year student at Northwestern University, where he is pursuing degrees in Neuroscience and Piano Performance. Christian is a part of the Northwestern Auditory Research Lab, where he investigates the auditory peripheral system using otoacoustic emissions and psychoacoustics. After graduation, Christian plans on attending graduate school to pursue a degree in clinical audiology. He also enjoys teaching piano to younger children, playing soccer, and learning sign language. Christian is looking forward to learning more about other areas of research! Maya is a sophomore at DePaul University majoring in biological sciences with a cellular and molecular concentration with minors in math and chemistry. Along with being on the the CAURS ISB, she currently serves on the board for DePaul’s Pathways Honors Program as the research and leadership chair and for the Premed Undergraduate Mentorship Program as the director of community outreach. After graduating, she hopes to attend medical school to work towards an MD-PhD and specialize in hematology-oncology. In her free time, Maya enjoys Irish dancing and creating digital art. Yufan is a senior at Northwestern University where he is double majoring in Biological Sciences and Psychology. Currently, Yufan is working on finishing two research projects: 1) Synthesizing nanoparticles with surface charge and morphology modifications as drug delivery vessels in a biomedical engineering lab and 2) Determining the conditions that constitute object composition for humans in a cognitive psychology/philosophy lab. In his free time, Yufan loves singing and playing the guitar (he actually auditioned for American Idol this past summer, results still pending!) and relieving stress as a captain for the Northwestern Club Boxing Team. Shahd is a junior at Roosevelt University, where she is majoring in biology with a minor in psychology. Last summer, Shahd partook in the Summer Health Professionals Education Program at the University of Iowa. There, she learned the importance of interdisciplinary cooperation, communication, and determination so she is excited to apply those principles to this year’s research symposium. At her university, Shahd works as a chemistry peer tutor and she is conducting ecological preservation research with Dr. Dangremond. After graduation, she hopes to pursue dentistry. In her free time, she enjoys reading web illustrated comics and doing crafts with the cute, little kids at her mosque. Darren is a senior at the University of Chicago, where he’s majoring in Biological Chemistry and Chemistry. He is currently conducting research with the UChicago Department of Biophysical Dynamics, where he’s investigating the physical mechanisms by which biological molecules sense and respond to cellular stresses. In his free time, Darren enjoys attending electronic music concerts and exploring Chicago’s art museums and restaurants. After graduation, Darren plans to attend graduate school for biophysics. Misha is a senior at the Illinois Institute of Technology, majoring in Science Journalism with a minor in pre-medical studies. She has participated in research at the Wayne State University Emergency Medicine Department and as research assistant at the University of Michigan Department of Psychiatry- Intern Health Study this past summer in addition to volunteering at local hospitals in the Chicago-land area. This is her second-year as a member of the Inter-school board. Other hobbies of hers include yoga, fitness, traveling, and reading. Chang is a senior majoring in physics at Illinois Institute of Technology (IIT). He was involved in doing research since his freshman year. 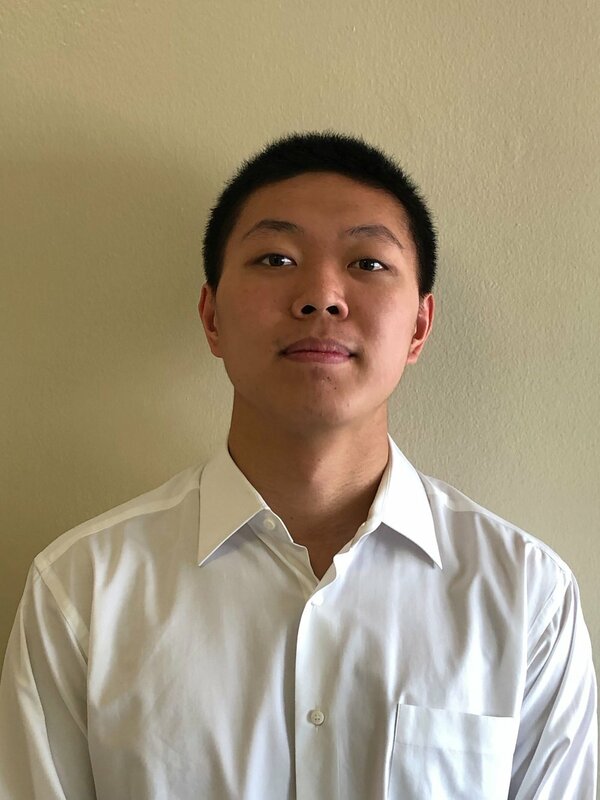 During the summer of 2018, he did the Lee Teng Internship at the Argonne National Laboratory on beam stabilities at Advanced Photon Source (APS). Understanding the importance of presenting ideas and demonstrating the achievements for a researcher, he first participated in CAURS in 2016 as a volunteer right after knowing about it. He has been a member of the inner-school board since then. He is applying to graduate schools in physics for future plans. He looks forward to the symposium this year, and seeing more of the fantastic research undergraduates have worked on in different fields!